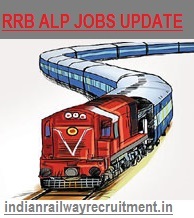 RRB ALP, Technician Grade 3 Recruitment 2019| "26502 Jobs Vacancy"
6.1 RRB ALP Syllabus consists the Following topics. RRB Recruitment 2019-20:- Looking for any employment notification released by Ministry of Indian Railway Department anywhere in India and in All regions of RRB (I.E Patna, Malad, Secunderabad, Jammu, Ranchi, Ahmedabad, Allahabad, Bhopal, Bangalore, Chandigarh, Bilaspur, Ajmer, Chennai, Chandigarh, Kolkata, Guwahati, Siliguri, Trivandrum and Muzaffarpur) then, you are in right place. As Railway recruitment board announced bumper job opportunity notification for Freshers & Experience candidates. RRB Department notified to all job seeker by publishing job notification in employment newspaper & publish pdf of official notification in their official website i.e (indianrailways.gov.in) about ALP, Technician Grade 3 Posts with having 26502 Posts in Railway department for all interested candidates who have minimum eligible criteria requirement i.e Educational Qualification as well as Age limit (Relaxation in upper age limit is also available for SC/ ST/ OBC & other categories). Indian railway divided total vacancy into RRB Region & Category wise & Male/ Female Wise. All the contestant who are willing to apply Online Application form for RRB ALP jobs 2019 Assistant Loco Pilot, Technician Grade 3 posts wise then, you first need to check your eligibility and then follow Online apply few steps. After doing registration you will call for written Exam then another selection process stage will be carried out. So, for that purpose, you need to check each and every detail about RRB Recruitment 2019-2020 ALP/ Technician Notification complete detail like Eligibility, Selection process criteria, rrb Exam 2019 detail, Important dates and official notification complete information. Railway recruitment board currently Going to Announced ALP & Technician Grade III Posts recruitment notification for which applicant need to pass Matriculation (10th Class)/SSC/ITI Education Qualification from the recognized board of school Education by Govt of India and Age limit as per category wise. So, below we are sharing with you each and every single information related to the current running vacancy by Railway recruitment board (RRB) in 2019-2020 Years. So, keep reading & Keep note of every detail related to RRB Loco pilot 26502 Posts recruitment 2019 Notification. Asst Loco Pilot, Technician Grade 3 Posts Detail:- RRB inviting all the job seeker candidates in India for ALP & Technical Posts. Both Male & Female Candidates will be eligible for given Posts. As the Maximum number of Vacancies will be reserved for Female Candidates. So, Main of the focus of Railway recruitment board to fill the bumper vacant post in railway department in all regions of India. Vacancy detail:- In 2018, Ministry of Railway department of India, decided to hire bumper Candidates for Constable Posts. 26502 Vacancy will be divided into Category, Male/ Female, Region wise. Age limit:- Not more than 30 Years or Between 18 Years to 30 Years. Relaxation will be available for SC/ ST/ OBC/ Widows, divorced women and women judicially separated from husband but not remarried. Minimum Educational Qualification:- All the interest candidates only required to possess basic education qualification that is for both Male and Female candidates. As minimum Education Qualification Criteria is Matriculation (10th Class)/SSC/ITI or any relevant Qualification from certified Board or Institution. If you possess Minimum Eligible criteria then, you can Apply Online Application form from the official website link that is Available below But, before going applying process you must need to be aware of selection process criteria that you need to be Qualify to get successfully ALP jobs. Click on the Link Loco pilot/ technician Recruitment 2019. Please subscribe Our website or visit us again to get latest jobs update by Indian Railway related to RRB Upcoming Jobs 2019 Notification. Here you can also check more Railway or any govt jobs detail. Below we also mentioned bumper govt jobs detail in various department anywhere in India, If you are not interested in current running recruitment then, please keep sharing RRB detail and help your friend to get jobs. If you have any suggestion for us or have any question, ask in below comment box we will respond and give you help as much as we can. Sir I completed 10th and DIPLOMA IN PLASTICS MOULD TECHNOLOGY.SO,am I eligible for ALP & Technician post? work labour. Mu age is 28, I am jobless, I am only son in my family. So i will be request you any job in the railway. sir, i have done my diploma in IT from AMBEDKAR INSTITUTE OF TECHNOLOGY,shakarpur Delhi-110092. Can i also apply for assistant loco pilot ? I am Debraj Bhaumik. I am complete graduation course in B.SC.IT from Punjab Technical University in 2011. My father retired from railway in the September 2015. Mu age is 28, I am jobless, I am only son in my family. So i will be request you any job in the railway. sir iam ex Army thanks for railways for giving me the chance in feb 2018, for group D.
Hi, I have completed B Com and diploma in IT, am I eligible for ALP post? Upload Certificates and white background photo with Name and Date will mentioned front scanned photo and then Upload..Carefully Read Before Instructions..
sir I have completed diploma in IT, am I eligible for ALP post? i am eligible for alp post,computer basic language. now iam worked part time in solar power fencing system……………………………………………………………………………………….. I am only metric pass, no ITI can i apply for group D post. Sir mere Naam Hai Naresh Kumar Maine iti welder trade se kiya hai … Kya main Alp & technician ka form fill up kar sakta hu ya nahi .. plz Comfirm me Sir ..
Hello sir , my name is ankit mishra .i have completed my engineering from computer science. please suggest which post best suites to me. Apply ALP & Technicians.. posts..
Hi sir this waseem . i completed my engineering from Information Technology (IT). when i am filing ALP form but there is no option for BEIT. I have applied rrb group c , will I eligible to apply for loco poilet group D .
I completed my 10 +2,and now i am doing 3rd year B.E in Mechanical engineering , can i apply for the ALP. My name is Arvind Kumar Shaw of Kolkata region request you to pls inform me about latest railways vaccancy of ntpc or similar category. I shall be highly grateful to you for this act. what will happens if under graduates apply for rrd recruitment. not having any technical certification. plese respond .. I am appearing std 12 with physics and maths.am i applicable for Technician Grade 3. Sir,I have no ITI Certificate,but I passed 10+2 Exam with Physics and Maths.Can I apply Group C technical posts?please answer sir,I’m waiting. sir, I completed 12th and ITI electrical.so I am eligible for electrical Post? Where is the link to apply alp on 12th base please provide me thank you. Sir I have compeleted Computer science Engineering.. Am I eligible for any of Railway jobs related to my degree field? Kindly, clarify my doubt. Can I register for any of the posts in Railway? If so, then tell to which post I can apply for. Am Sebin.Am completed 10th,12th & diploma. I am not able to fill up the form til yet for ASSISTANT LOCO PILOT 2018 notifications. Sights and portals are busy from yesterday, and last date of online is today i.e;30/03/2018. Please solve this problem or extend some days of applications form. Respected Sir. iam applying for Indian railway job(Technician Grade 3) I applicable for the job. My qualification was ( 10th tool& Die Technician cource) In the college TOOL ROOM AND TRAINING CENTER.